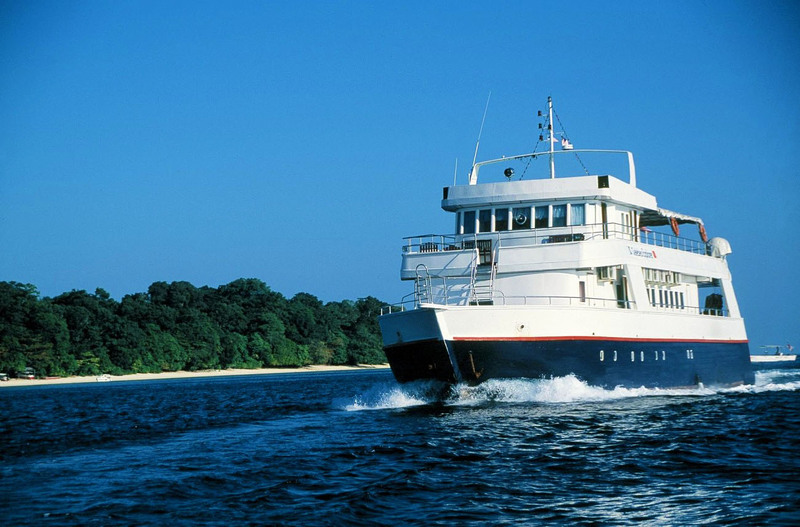 The 29m long MV Celebes Explorer is the only liveaboard authorized to operate at Sipadan. 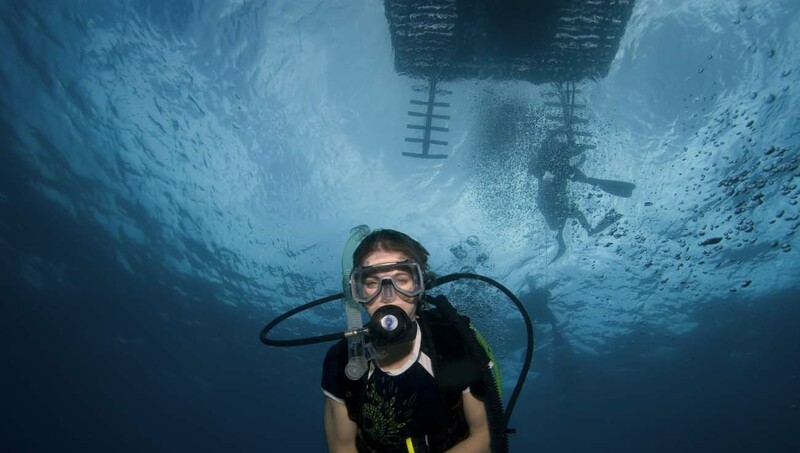 While not luxurious, she is comfortable, clean, and can accommodate up to 16 divers. Discounted rates apply for groups of 6 to 8 divers. For groups of up to 16 divers, please ask us about chartering the whole boat at a very competitive price. With 13 Sipadan diving permits allocated per day, everyone will get the opportunity to dive most days at Sipadan, which is totally unique! Most of the diving is done around Sipadan, with the occasional stop at Mabul Island. Routine trips are a week long, Sunday to Sunday from Semporna Island. Divers embark after breakfast at 8.30am, leave for Sipadan on Monday morning, then cruise back to Semporna 6-7 days later and disembark around 2pm. Divers have a choice between 6 standard cabins with triple bunk beds or 2 Queen cabins with double beds. Every cosy cabin has air conditioning, private ensuite with hot showers and a dressing table. The middle deck has a camera charging station, a spacious air-conditioned dining room serving delicious buffet meals, and a comfy lounge with a mini bar, TV. and internet access. The sundeck on the top is perfect for relaxing with fellow divers and catching a few rays. The lower dive deck has a changing and shower area, filling station, dive gear storage, and nitrox is available. The diving at Sipadan exceeded my expectations and being on board meant that diving at Sipadan was everyday. The dive guides were so great, always pointing out the most interesting critters and ensuring everyone was safe and comfortable. 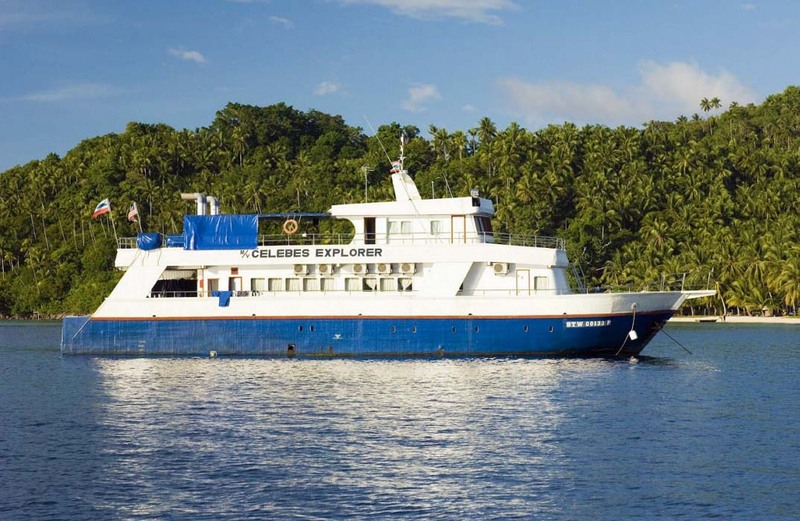 The staff on board the Celebes Explorer were great – always smiling, welcoming and helpful. Of course the diving at Sipadan was phenomenal. I would highly recommend a trip on this boat if you want to dive almost everyday at Sipadan. The facilities on board the Celebes Explorer were on par with other liveaboards I have travelled on. The food was good and the air-conditioning was a definite plus. 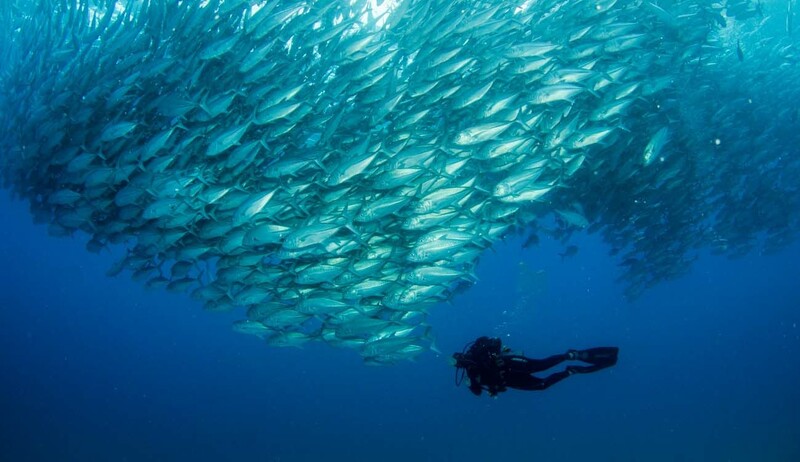 The diving was spectacular, especially at Sipadan's Barracuda Point. From Kota Kinabalu or Kuala Lumpur, take a direct flight to Tawau. You will be met upon arrival by the liveaboard staff, transferred to Semporna by bus, then embark onto the boat from the jetty.